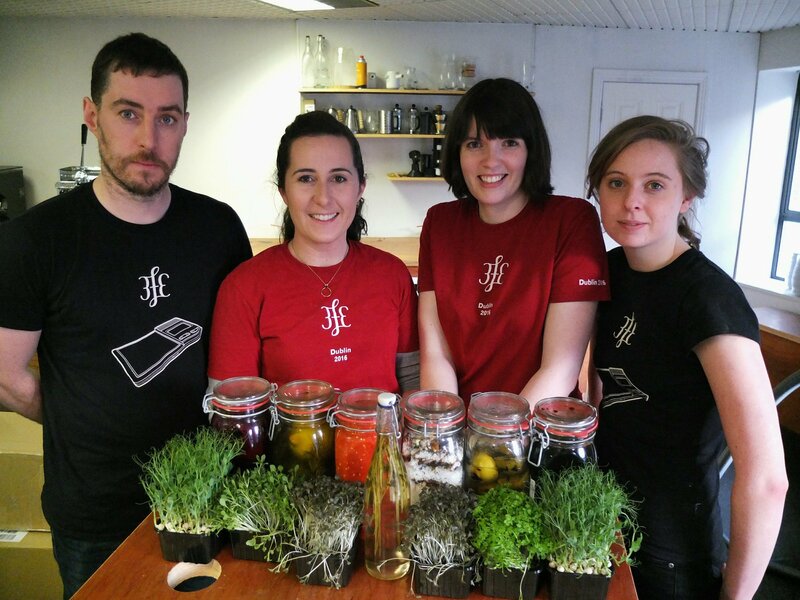 Kitchen crew, you might not always see — we hang out in the basement but we are the team behind your food at 3fe. We’ve been making a move towards sustainability here in 3fe of late. It’s something that’s always been in the back of our mind and we probably do a lot of it without thinking already, like recycling our waste and using locally sourced suppliers, but we think that making a concerted effort to do it right is better for the environment, our suppliers and us as we move towards being a more progressive business in every way. The Sustainability Restaurant Award membership has been instrumental in helping us to achieve this. The only other restaurant in Ireland to have this award at the moment is Loam, Galway, a Michelin star restaurant. I’m sure a lot of you are thinking but theyre a michelin star restaurant — sure! But we figured why not. We care and we want to be a better business so this is the next step. In fact we would argue being a sustainable business is the only way to run a business nowadays. 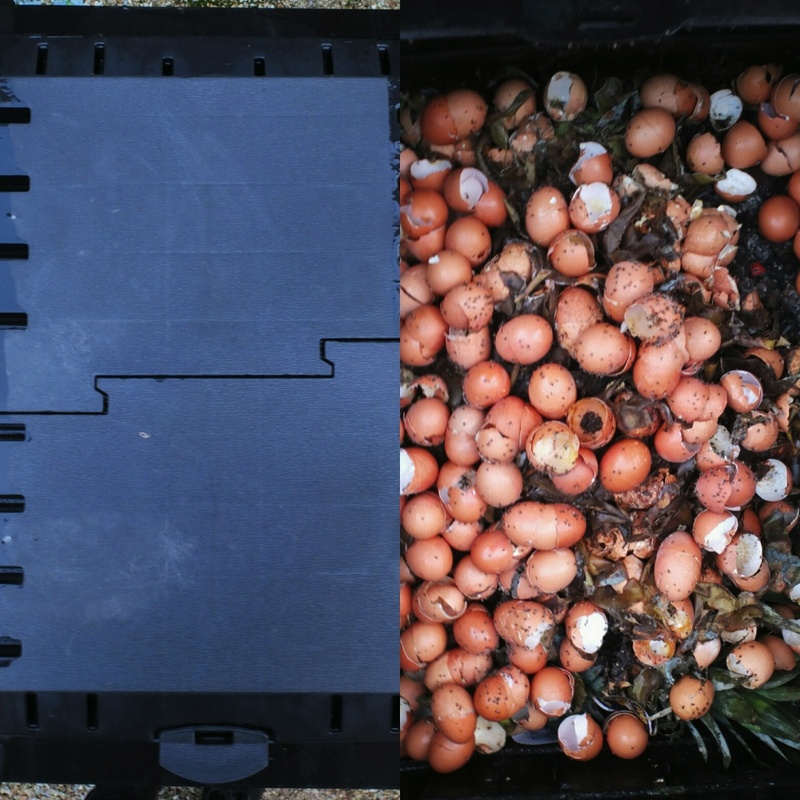 Our compost bins might not be pretty on the eye but they’re pretty important to our sustainability programme. We’ve got compost bins out the back, by January this is going to be ready to use as we start our first ever vegetable patch. We produce a LOT of coffee grounds so we are using the bulk of this in our compost and if there’s too much coffee grounds Dave from little cress, who grows our micro cress, takes it for his own compost. 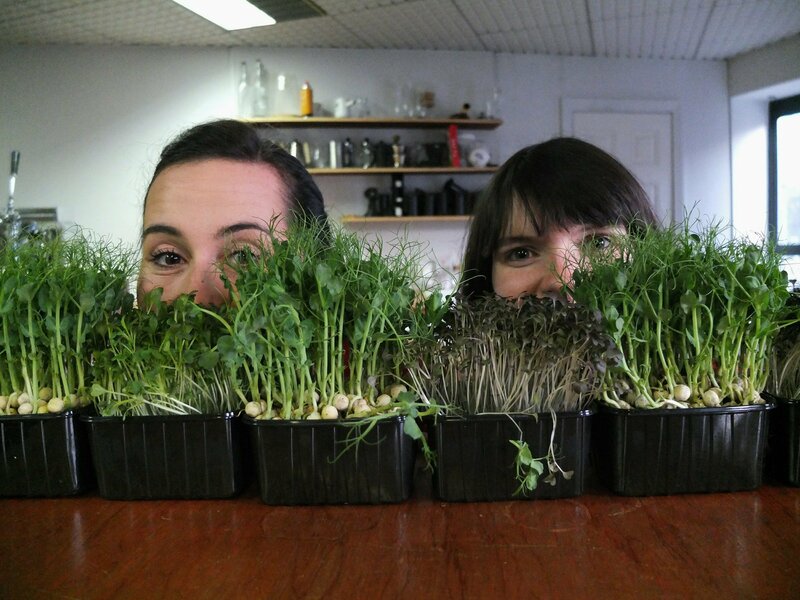 Hilary & Holly in their natural habitat amongst some of our lovely micro cress form Dave Heffernan at Littlecress. 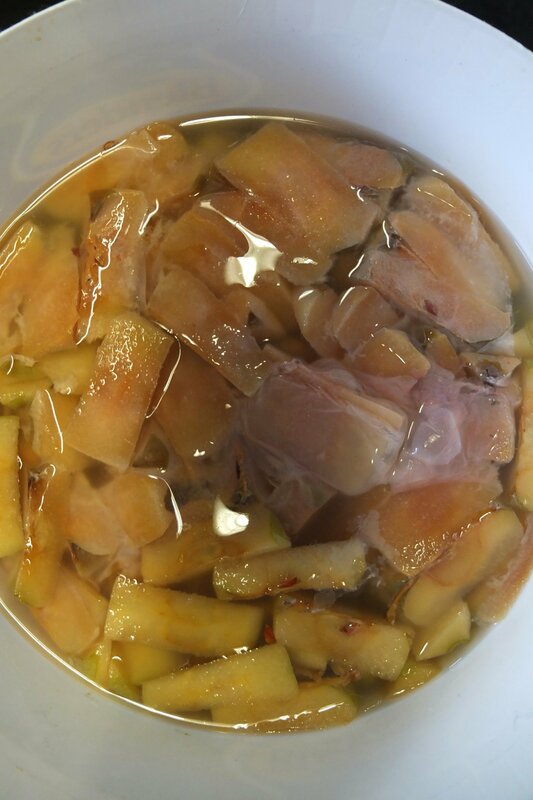 Another thing we produce a lot of is waste milk- this sounds gross but its actually perfectly normal and safe to use. Its basically the leftover milk we collect when we steam milk for your cappuccinos. We collect the surplus milk and keep it refrigerated, then use this to make ricotta and yoghurt. Its really delicious and you feel great knowing you made it from something that ordinarily would have just got chucked down the sink. Like any kitchen we have a lot of vegetable trimmings, these now go into vegetable ferments like the hot sauce, sauerkraut, kimchi and other interesting things we’ve been playing around with in our kitchen. Fruit cores is something that’s really great for making vinegars with, then we keep the mother from these vinegars and keep making them. Every batch is a little different in flavour. It’s like a bubbling science lab in our dry store sometimes. 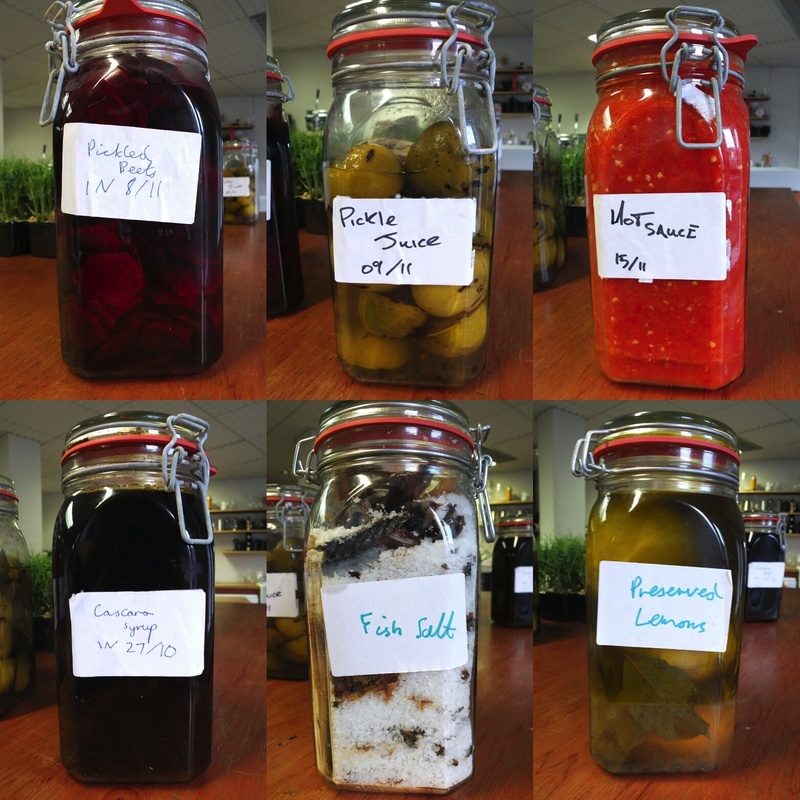 Local sourcing is something that is a massive part of sustainability. It’s mad because we thought that by buying Irish and organic where possible we were doing a great job being sustainable but in fact it needs to be within a 50 mile radius to be considered truly sustainable. So we’ve had to go back to the drawing board with a lot of our ingredients and unfortunately turn around to some producers/suppliers and say look we need it to be free range, organic and within a 50 mile radius. Chaff is a waste product we get when we roast our coffee, it’s sort of like the skin of a peanut. It’s really dry and we were looking for a way to use it rather than just get rid of it. Then our pork supplier walked in the door with our smoked bacon (that he smokes himself) perfect! He now collects our chaff and smokes our bacon for us with our chaff. Now onto pancakes… everybody loves pancakes right?! Maple syrup is expensive and not even Irish, so now we make our own cascara syrup from the cascara, which is the dried fruit of the coffee bean. Pancakes and syrup with a caffeine hit — perfect for that weekend brunch. We roast our own coffee and we know where it comes from, we know that the farmers get paid properly for it and that its really good quality. But when we started thinking outside the box we started to think about chocolate. We sell so many brownies, which means we use a lot of chocolate, the recipe still remains a secret but the chocolate we now use is Callebaut organic and 100% fair trade. It’s more expensive but its worth it. All this sustainability stuff is actually a really difficult task to do under normal circumstances but as we change our menu weekly it is even more challenging for us to do this. But it’s good to challenge yourself to keep on top of the game, it keeps you going.